The Equality and Human Rights Commission (EHRC) has various enforcement powers under the Equality Act; however it is also consulting on its detailed planned approach to non-compliance for 2018-19. On 17 December 2017 the EHRC published a consultation closing the gap: enforcing the gender pay gap regulations. 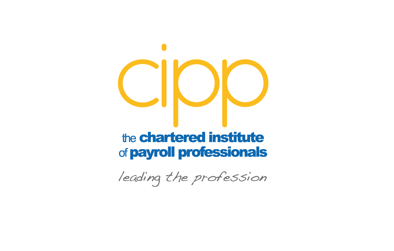 The CIPP were keen to know what members and the wider payroll profession’s thoughts and concerns are with regard to enforcement of the gender pay gap regulations. We asked EHRC for a copy of the consultation questions and duplicated those into an electronic survey. 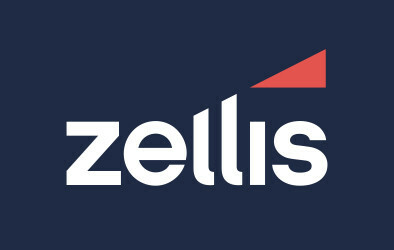 We received 43 responses to the survey, 39 as employers and 4 as a payroll service provider or agent. 67% of respondents work in the private or voluntary sector, 26% in the public sector and the remaining 7% were non-sector specific. Given that this is the first year of reporting and in recognition of the lateness of publication of final regulations in the spring of 2017 and the publication of final employer guidance prior to the first snapshot dates; we would hope that for the first reporting year a light touch and informal approach to enforcement be taken. Certainly we are encouraged by the commission’s aim to ‘resolve non-compliance through informal resolution’ with the focus more on education and awareness for employers. 57% of respondents agreed in the steps the commission is taking to encourage compliance, however, worryingly almost 40% neither agreed not disagreed and this might be reflective of the very mixed messages that currently exist in the media on the subject of GPGR. The very public experiences being ‘aired and shared’ do little to educate accurately the obligations that exist for employers of 250+ in the private, voluntary and public sectors. The Government Equalities Office and the commission need to reclaim those headlines with educational facts so that employers can engage with this latest mandatory obligation. It also needs to recognise that for an organisation to fully and successfully engage it needs to bring together different teams across the organisation, HR, payroll, technology as well as obtaining engagement at board level. Overall, respondents agreed with the aims of the policy but have doubts as to whether non-compliant employers could respond within the timeframes proposed in all instances. The timings given within the consultation paper imagine a perfect world scenario where no postal delays are experienced and letters are received by the intended recipient in a prompt and efficient manner. The reality is seldom that smooth, employer data is corrupt, contact details change and delays between the letters being written and them subsequently being posted and delivered will be subject to further delay. We would expect final guidance to be precise as to when the countdown of days truly begins and ends and the true implications of failure to meet the deadlines in all instances. Responses given above to the timings questions have largely assumed that a perfect world could exist but where they didn’t then disagreement (by 26% of respondents) to the timings was clear ‘… is counter-productive to apply such timescales on compliance… ’. We acknowledge however that a clearly applied timetable which is consistently adhered to by the commission will provide the non-compliant employer with far greater certainty. Failure to report, particularly in year one, and inaccuracy in reporting will require different levels of investigation; we acknowledge the reservations in the commission’s ability to be able to police accurately and fully. We are encouraged also that the policy will be reviewed regularly and would again put out a request that policing of the first year of reports i.e. with the snapshot dates of 5 April 2017 and 31 March 2017, focusses a greater educational and informal approach for all but the least compliant. The full response and results of our survey can be found on our website under My CIPP/Policy hub.